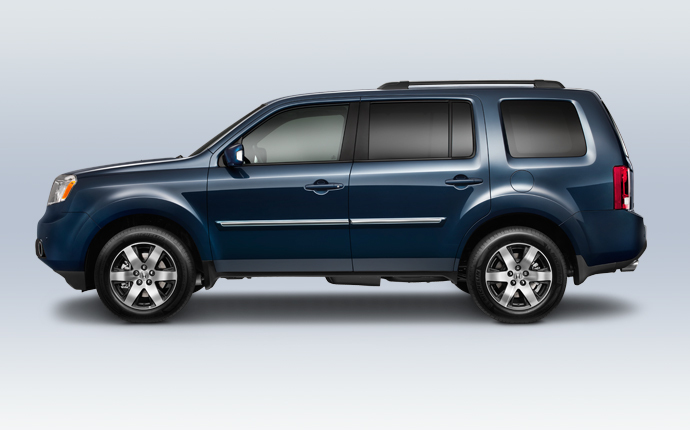 The eight-seat 2013 Honda Pilot is just the vehicle that many Middletown and Newburgh families are looking for. Not only does it offer plenty of space and power, but the 2013 Pilot comes equipped with a full suite of features, including Honda’s revolutionary i-MID system. This includes standard handsfree calling, a rearview camera, and more. This has helped to give the 2013 Pilot a step up on similarly sized vehicles, including the 2013 Hyundai Santa Fe. Though the 2013 Santa Fe and the Pilot start around the same price, there are some key differences between the two vehicles, mainly in terms of passenger capacity and standard engine power. There are also several standard options on the Pilot that Santa Fe drivers are missing. Here’s how the two vehicles match up. Despite their similar base price tags, only the Pilot comes standard with room for eight passengers. The Santa Fe starts off with room for five, and only on more costly trim levels is there the option to upgrade to room for either six or seven passengers. The Pilot also comes standard with 250 hp V6, compared to the 190 hp four-cylinder engine on the Santa Fe. Again, a larger V6 option is available on the Santa Fe, but it requires an upgrade. If you think that the Pilot might be a good fit for your family, why not stop by our dealership for a test drive? Middletown Honda is only a short drive from Newburgh at 520 Route 211 E. in Middletown, NY. We’d be happy to tell you about the different options available on this year’s Pilot as well our different financing options. If you have any questions, please don’t hesitate contact our sales team.